With more than 100 million neurons supporting trillions of connections, the human brain is an amazing consequence of the interaction between genetic variation and natural selection driven by the environments in which our ancestors lived. Because of the significance of food to our survival and the ensuing evolutionary pressures, a significant portion of the human brain is dedicated to the motivational, emotional, hedonic and cognitive information processing that supports decisions about when, what, and how much we eat, and how to acquire those foods. Given the complexity of these neural systems, it should come as no surprise that aberrations in neural activity and neuroarchitecture can lead to a variety of pathologic eating behaviors. These behaviors can take many forms, including over-feeding (e.g., obesity), dysregulated feeding (e.g., binge eating and bulimia nervosa), and feeding that fails to meet the body’s energy needs (e.g., anorexia nervosa). Although it is not entirely clear that these disorders form a continuous spectrum of illness with common pathophysiologies, it may be useful to think about how diverse eating pathologies illuminate the neural circuitry underlying feeding behavior, and how understanding this circuitry is vital for better treating those that suffer from eating related illnesses. Eating disorders are currently defined based on phenomenological descriptions found in the Diagnostic and Statistical Manual (DSM) V which was released in 2013. To form these diagnoses, workgroups of talented clinicians and researchers convened to specify collections of symptoms, which constitute syndromal diagnoses with high inter-rater reliability – meaning that two different clinicians seeing the same symptoms will arrive at the same diagnosis. Diagnoses for eating disorders that include Anorexia Nervosa and Bulimia Nervosa have been around since 1980 when they first appeared in DSM III. To arrive at an eating disorder DSM diagnosis a patient’s eating disorder pathology has to have “clinically significant impairment” in important areas of function. Though these behavioral and psychological symptoms certainly have something to do with neurobiology, and there is substantial evidence that individuals that exhibit eating disorder pathology are “wired” differently, it remains uncommon to use physiologic evidence of pathophysiology to confirm a diagnosis. This is in stark contrast to other areas of medicine, where a diagnosis is often determined based on evidence of aberrant biological states. To this end the National Institute of Mental Health under the leadership of Thomas Insel, MD developed the Research Domain Criteria (RDoC). The purpose of the RDoC initiative is to “define basic dimensions of functioning (such as fear circuitry or working memory) to be studied across multiple units of analysis, from genes to neural circuits to behaviors, cutting across disorders as traditionally defined. The intent is to translate rapid progress in basic neurobiological and behavioral research to an improved integrative understanding of psychopathology and the development of new and/or optimally matched treatments for mental disorders” (Strategy 1.4 of the NIMH Strategic Plan). In short, the effort is to define diagnoses by aberrations in brain circuitry and physiology, and then provide treatments aimed at correcting or ameliorating the aberrant circuitry. It remains an open question of how we can best measure and evaluate the function of complex brain and nervous system circuitry. The goal is to form a “biosignature” that would augment current methods of obtaining clinical symptoms, thereby creating a more complete clinical picture. Brain circuits can be identified through electrophysiology (EEG), genetics, functional neuroimaging (PET and fMRI) and new methods for quantifying connections in vivo (Protein analysis). The skills of accurate history-taking and descriptions of symptoms will continue to be of vital importance, just like it is in the rest of medicine; however, some connection to active neurological signals will help give increased diagnostic reliability and increase the accuracy of treatment. It is likely that aberrations in one neural circuit may lead to several different symptoms and outcomes, and it is possible that aberrations in several different neural circuits could lead to similarly-expressed pathological behaviors. Treatment could also be individualized to fit the neural architecture of certain individuals, as studies are already published that point to brains which respond better to certain types of psychotherapy. Understanding different comorbid psychiatric conditions and how they affect each other will be vital for better outcomes, as well as how other physiological and medical conditions can, in turn, affect neural architecture. The importance of estrogen, cytokine signaling in inflammation, and how vascular changes interact with neural systems, will be vital in a better understanding of eating disorders and developing more effective treatments. Some may worry that this new initiative will begin another round in the battle of medicine versus therapy, or nature versus nurture. But as in all debates, being too reductive means missing the point. Knowledge of how therapy and personal interaction change and shape the brain is vital in understanding how to best provide recovery in those that suffer from eating-related pathology. Psychotherapy is still the most efficacious treatment for eating disorders, and understanding how and why it works is vital if we are to better serve those that suffer from these illnesses. Likewise, it is critical that we understand how development, trauma, malnutrition, and environmental factors influence brain activity and gene expression. Ultimately, we will likely find that these factors interact with the factors that determine the success of psychotherapy. Our knowledge of the interface between these psychological and biological factors will open a vital doorway for future treatments to exert their influence on behavior. Although at present these pursuits are still generally relegated to the world of research, openness to neurobiology and neural architecture has already made major inroads into treatment such as family-based therapy (FBT). In FBT the understanding of neurobiologic underpinnings allows parents to reduce blame and focus on helping their loved ones find a path to recovery. Science and technology are allowing us to see the brain as a dynamic organ shaped both by its evolutionary history and the more local forces of an individual’s biological and psychosocial history. An openness to seeing patients in this new way holds the key in the near future to new treatments for these serious illnesses. 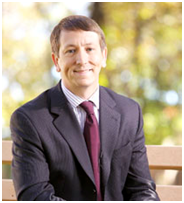 Scott E. Moseman, MD, has worked with the Laureate Eating Disorders Program since completing his child psychiatry training in 2004, and he currently serves as medical director of the program. He is a board certified child and adolescent psychiatrist. Currently, Dr. Moseman is collaborating with Kyle Simmons, PhD, at the Laureate Institute for Brain Research to study neural circuits associated with eating disorders using the facility’s state-of-the-art fMRI. Dr. Moseman has sat on the board for the American Academy of Child and Adolescent psychiatry and currently sits on the board for the Oklahoma Eating Disorders Association as well as co-chairing the special interest group on child and adolescent care for the Academy of Eating Disorders.